We are excited about the FITness journey you are about to embark on. I guarantee those who apply the revelation, wisdom, strategies, and FITness challenges in this e-book will begin to live life in a fuller way. Picture yourself reaping the benefits of living a fuller, healthier life. This book removes sickness and disease and postures you to live a healthy full life in Christ in every area. "Need more information? Register for an Infosession." 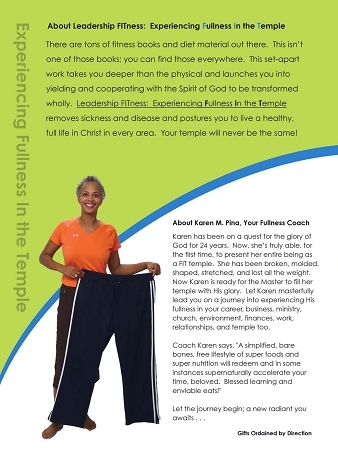 Karen teaches an intro to experiencing fullness in your temple course as a prelude to the book. Go here for more information and to register. Make a donation for the e-book and instantly receive 30 days of FITness tips emailed directly to your inbox. How to finally build your emergency fund- Hint: with money you already have! Pina Enterprises/Karen M. Pina ask you to respect the copyright on this e-book by avoiding the temptation to share it with others. 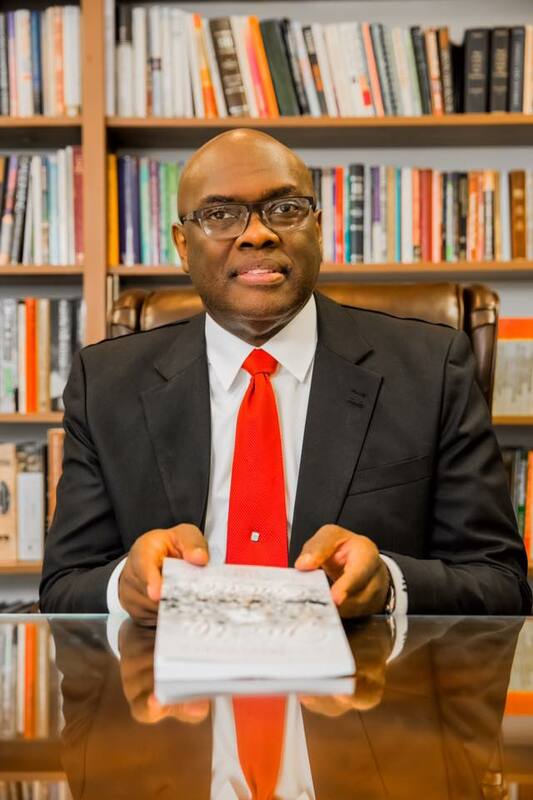 Instead, recommend the e-book to your friends and leaders by sending them to this site. "New names, faces, and methods come on the Christian scene daily. Some of the new discoveries are short-lived and mediocre at best. However, there are other names, faces, and methods that are fresh, favored, and highly effective for the body of Christ. 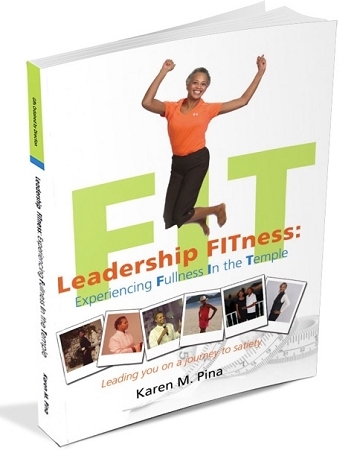 Karen's work in Leadership FITness is one of those fresh waves. The e-book uncovers foundational truths of a holistic approach to fullness and completeness. I highly recommend this e-book and say buy it and get on board to living your life to the fullest."